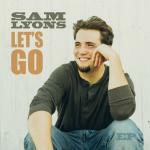 My name is Sam Lyons. I grew up in a small town near Madison, Wisconsin. I have been writing music since age 9 and recording it since age 14. I have released 3 albums and 2 EPs. My latest project "Let's Go EP" was recorded in NYC with Grammy Nominated/Oscar Winning Producer and Madison's own Leo Sidran. I also front a band named Laundry and we released our debut album "Soup Girl" in October 2016. I enjoy making music, I hope you enjoy my page.